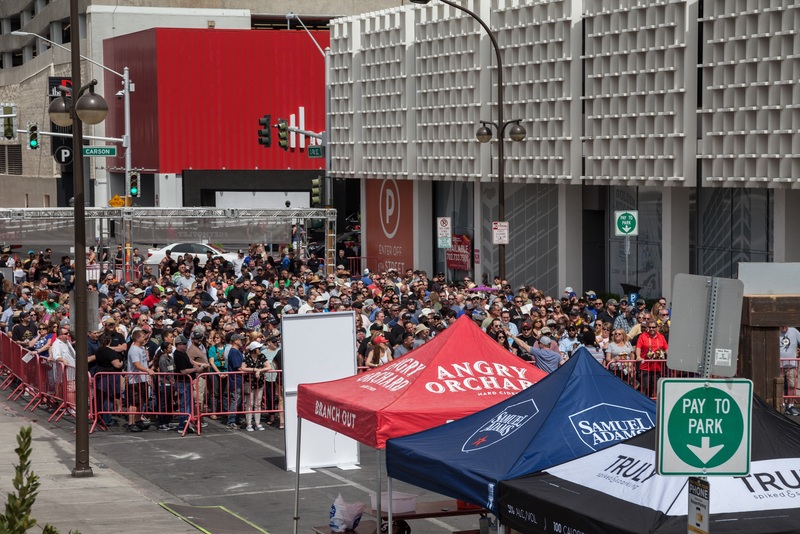 This edition of MRM’s News Bites features Compass Group, Punchh, Parts Town, Uber, Gather and OpenTable, FEAST, Toast, ezCater, wagamama, Serve, SOCi, TroyGould, Mobivity, Foodsby, Apptizer, Atomic Wings, thel Great Vegas Festival of Beer and PourMyBeer. Compass Group,, together with some of the most influential companies and celebrity chefs, is rallying millions of consumers to accelerate the fight against food waste with Stop Food Waste Day™. The White House has further elevated this effort, by acknowledging the month of April as Winning on Reducing Food Waste Month, supported by a historic interagency agreement between Food and Drug Administration (FDA), Environmental Protection Agency (EPA) and United States Department of Agriculture (USDA). “The future of food depends on action from us now, which is why we have established this formal partnership among USDA, EPA and FDA,” says US Secretary of Agriculture Sonny Perdue. Globally, millions zero-food-waste meals will be served on Wednesday, April 24, throughout Compass cafés in hospitals, schools, arenas, corporations, museums and senior living communities. 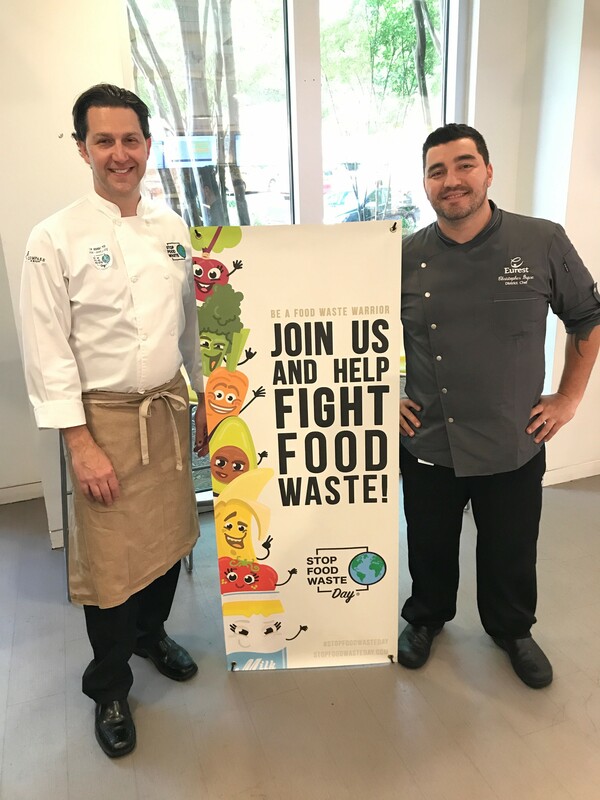 Chefs, including celebrity and humanitarian José Andrés, will encourage people to take the pledge to make every day Stop Food Waste Day, lead live cooking demonstrations, host zero-waste dinners and educate the public on ways to reduce food waste, inspiring reduction in both professional and home kitchens. Compass Group’s network of global partners–which includes Google and HSBC—universities and hospitals like Carnegie Mellon and Jersey Shore Medical, plus industry influencers like Andrés, Tom Colicchio and Danny Meyer, among others, will help mobilize the movement to drive results. “Chefs are positioned to change the food system,” says Tristram Stuart, an expert on the environmental and social impact of food. “Compass Group is giving them the power to be culture leaders, recognizing they are the number one asset we have to turn this crisis around.” Compass Group and Toast Ale, founded by Stuart, will host a major food waste awareness event this fall to demonstrate how easy, delicious and fun it is to serve the masses meals and drinks made with ingredients that routinely go to waste. On track to meet its goal of reducing waste 25 percent by 2020, Compass Group has announced a long-term goal to reduce food waste 50% by 2030, joining the US Food Loss and Waste 2030 group and aligning with the United Nation’s waste-reduction agenda. Compass NA invests in training, digital platforms and innovative systems to uncover opportunities to reduce waste throughout the lifecycle of food – from harvesting and producing to purchasing and portioning. 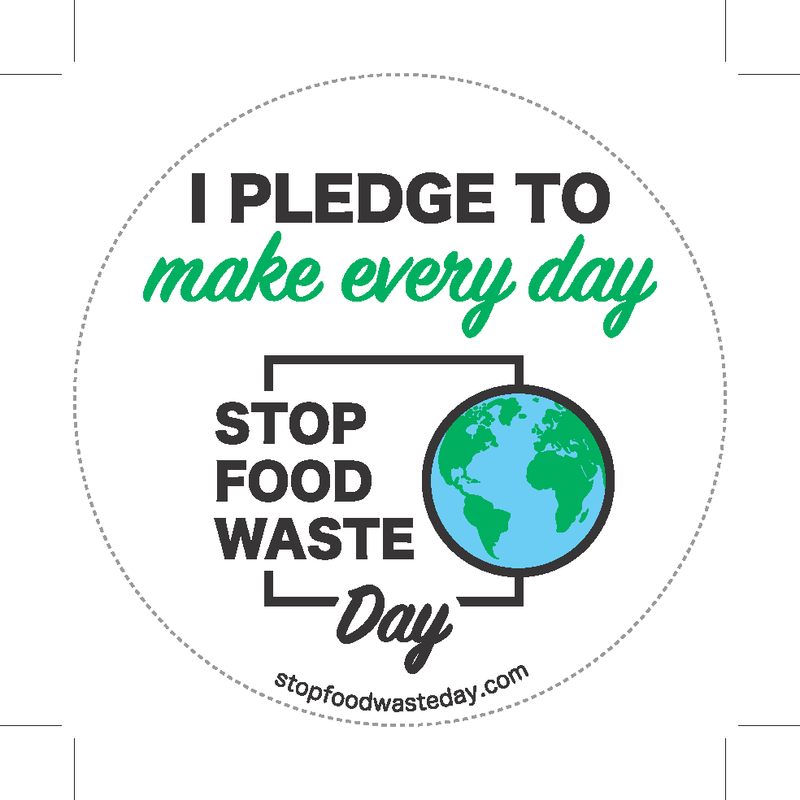 For a full list of celebrity chefs, restaurant partners and cities honoring Stop Food Waste Day, visit stopfoodwasteday.com. Punchh launched Punchh WiFi Marketing to help brick-and-mortar retailers identify potential new customers and market to them in real time. Punchh WiFi Marketing provides seamless integration with Punchh Marketing Cloud, and accelerates retailers’ ability to identify and engage a potential customer as soon as they walk through the door with a range of new acquisition channels. Engaging customers via WiFi provides access to more customer data, while simultaneously offering machine learning capabilities for better segmentation and improved promotion targeting. 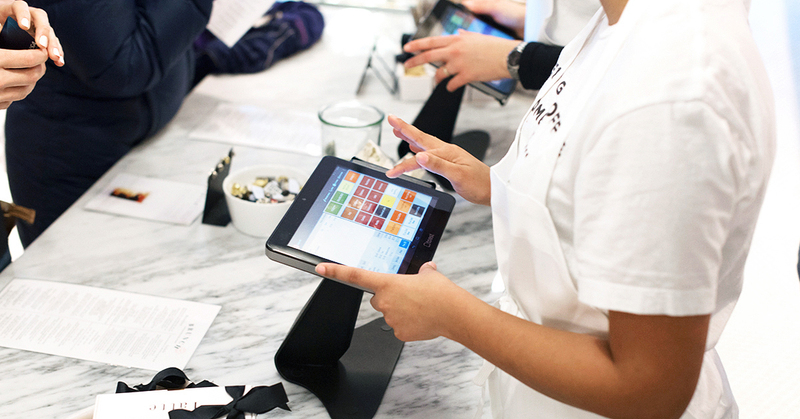 The modern-day consumer walks into stores with a smartphone in hand or a laptop in their bag. These same devices that bring a customer into a business offering WiFi can also be detrimental if the business does not start building a relationship at that point, since the customer can find the competition within seconds on Google or Yelp. But once they connect to WiFi, Punchh allows brands to engage immediately and provide a personalized shopping experience, distributing the right offer at the right time. Increase same store sales and customer lifetime value (CLV) by extending the reach of the brand’s acquisition strategy. Accelerate customer visit frequency, spend, and offer redemption rates. Easily add customer acquisition channels, such as list/web imports, POS integrations, SMS, and multiple payment options, as marketing strategies grow. Parts Town launched master distribution partnerships with Electrolux Professional for its accessories and consumables and sister brand Kelvinator Commercial for its refrigeration equipment parts during Q1 2019. These master distribution partnerships, two of the three total added during the quarter, allow customers to leverage the benefits of shopping with Parts Town to access Electrolux Professional accessories and consumables and Kelvinator Commercial parts. Parts Town is able to deliver parts, consumables and accessories to its customers faster than ever before, with all in-stock orders shipping same day until 9 p.m. ET Monday to Friday and until 4 p.m. ET on Saturday. “We are committed to delivering the highest quality parts, accessories and consumables from manufacturers like Electrolux Professional and Kelvinator Commercial to our customers when they need them. These partnerships ensure we are always able to provide our customers with not only the highest quality parts, but also with accessories and consumables like a brush for a panini grill or a detergent for a combi oven, enabling peak equipment performance,” said Clint Holder, PARTnership Builder (aka: Vice President of Manufacturer Partnerships) at Parts Town. Parts Town now also sells Electrolux Professional’s cleaning detergents, which includes commercial detergents for dishwashers and ovens, rinse aids and degreasers. These detergents, which were recently released in the United States, have been expertly tested and guarantee the best performance for Electrolux appliances. 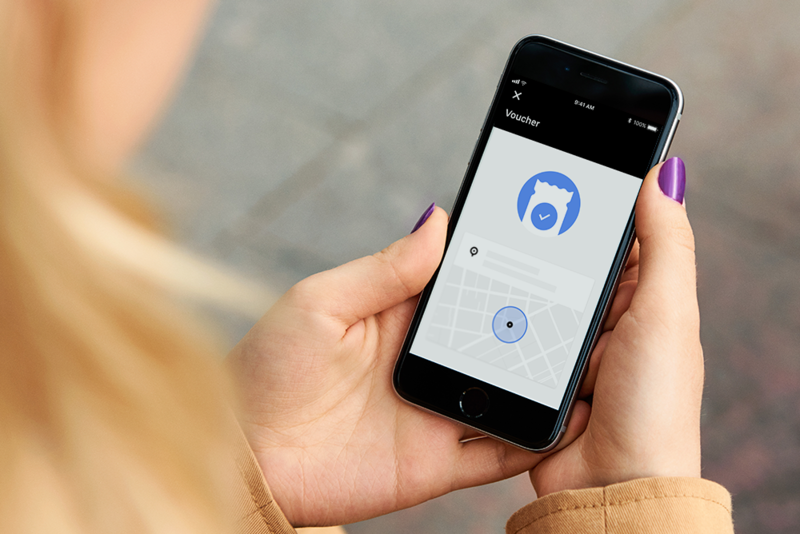 Uber is launching a new way for businesses to pick up the tab on your next Uber trip. Vouchers makes it easy for businesses of any kind to sponsor transportation for their customers. Brands can use Uber Vouchers to create a differentiated customer experience to attract new clients or support loyalty and service for existing customers. The Uber for business (“U4B”) team began beta testing Vouchers late last year across a diverse group of retailers, restaurants and services, with over 100 global partners — including TGI Friday's, Live Nation, the Golden State Warriors, MGM Resorts, Sprint, Freshworks and Unibail-Rodamco-Westfield. Westfield malls, for instance, are using Vouchers to help provide their guests and visitors best-in-class customer service, including convenient, hassle-free transportation solutions. Uber is now adding new partners, including Allstate, to broaden the program. While restaurants are already leveraging the Uber Eats app to reach more consumers with delivery, Vouchers now creates an opportunity to promote dine-in experiences b​y removing barriers to get to their physical location. ​Uber Eats restaurant partner, TGI Fridays has been using Vouchers in just this way and is now partnering with the Uber platform both for delivery and ridesharing to create a curated experience for its customers. “We at TGI Fridays are excited about launching Uber Vouchers as it will provide another opportunity to ensure we are taking care of our guests who are enjoying our great bar experience and providing them a safe and responsible travel option back home,” ​stated Ray Blanchette, Chief Executive Officer of TGI Fridays. In the event and entertainment space, consumers now have options to stay-at-home more than ever before so offering customers added convenience is key. For organizations like and the Golden State Warriors, Vouchers provide an appealing way for venues to bundle their offers, or provide a loyalty perk, and make it easier for consumers to attend events and improve their overall experience. Companies who already offer customers transportation such as shuttle services or rental cars, be it in the hospitality sector or in the insurance space, can also make effective use of Vouchers. ​The ​feature delivers a real-time and seamless solution to provide consumers with additional choice and flexibility in their transportation, while also reducing operational processes and costs for their business. For MGM Resorts, Vouchers offers a consumer-friendly means to facilitate travel between their various properties, restaurants and shows. The global reach of Uber’s brand means that MGM can rely on Uber Vouchers to offer local or international customers with transportation regardless of where travellers call home. Vouchers can help reduce wait-times by providing an on-demand and asset-light means for businesses to get their clients from point A to B. Businesses can sign-up for Vouchers by visiting ​uber.com/vouchers​. U4B’s Guest Services team is available to support businesses as they use and integrate this new offering. Companies can create customized Voucher campaigns and programs within a specified budget, set pick-up and drop-off locations, and an established time for an offer. All details can be tailored to an event, promotion or service. Businesses can send vouchers to their customers through email, social media and mobile messaging. When a rider redeems a Voucher, it is added automatically into the Payment section of the rider’s Uber app until it expires. In addition to a web-based tool, there is also an Uber Vouchers API available. Uber is currently working with Freshworks on an API integration into their platform so they can leverage vouchers across their suite of solutions. Freshwork will make use of Vouchers to help drive customer engagement and incentivize employee performance. “Freshworks is always looking for innovative ways to help our customers offer the best possible experience. We see a wide number of use cases for Uber Vouchers to incentivise Freshworks users and increase loyalty of their customers,” s​ tated, Anand Venkatraman, VP, Global Partnerships, Freshworks. Gather partnered with OpenTable to make finding and booking an event a more seamless experience. Through this partnership, Gather customers are able to promote their event spaces to the hundreds of thousands of people visiting OpenTable Private Dining pages each year. OpenTable diners seeking private dining will now have more options to discover and book a space and enjoy a seamless planning experience. The Gather Booking Network allows restaurants and venues to tap into a larger audience by providing more ways to promote their businesses in the top places where event planners and diners go to find and book events. The partnership also streamlines the booking flow between the diner and participating restaurants. OpenTable expands the existing Gather Booking Network which includes partners such as EVENTup, BizBash, and Wedding Spot, with more to be announced in the coming months. This week, in partnership with Tom Colicchio’s restaurant group, Crafted Hospitality, FEAST (Food Education, Access and Support Together) celebrated the graduation of its first NYC Wellness Program cohorts in Harlem, Coney Island and Jackson Heights. FEAST’s program, which focuses on providing nutrition education and access to healthy food in a support group setting, has impacted the lives of over 100 under-resourced NYC residents facing food insecurity. FEAST was founded to address a variety of disparities stemming from a broken food system in which the most affordable food available to families is also the most processed and the least nutritious. FEAST’s model is based on the understanding that increasing health requires three main ingredients: whole foods, whole people and whole communities. FEAST focuses on these complex issues through its holistic Wellness Program, which combines practical tools like nutrition education and cooking classes, with food access, peer-support, and community development. The results of FEAST efforts have been impressive, measurably impacting participants’ physical, emotional and social well-being. Over 70 percent of participants lose weight, 82 percent report an improvement in pre-existing dietary diseases, and two-thirds increase their self esteem. After five years of successful programming in South Los Angeles, FEAST expanded its reach to New York City in January 2019. At the first graduation at Harlem’s PS 112, FEAST’s Culinary Partner, Tom Colicchio remarked on the importance of FEAST’s combination of skill-building, social and emotional support. “From listening to those who have spoken today, I can tell that this community right here really supports each other… It’s great to see the first class graduate from FEAST and this is just the beginning of a healthier life for FEAST participants and their families. Once we start to eat healthier and start to feel better, there’s so much we can accomplish, ”Colicchio said while addressing the graduating group on Thursday. 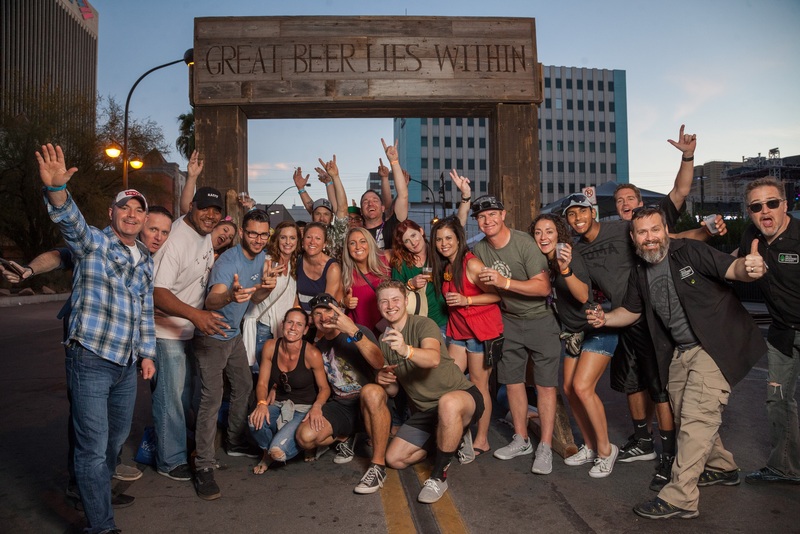 FEAST, a nonprofit organization founded in 2013 with the mission of promoting wellness and enriching lives through the power of healthy food and human connection, has impacted the lives of thousands in Los Angeles and expanded its program reach to NYC over the past year. Toast raised $250 million in Series E funding at a $2.7 billion valuation led by TCV and Tiger Global Management along with participation from existing investors including Bessemer Venture Partners, Lead Edge Capital and funds and accounts managed by T. Rowe Price Associates, Inc. Following a period of tremendous growth – during which revenue increased 148 percent in 2018 – this fundraise establishes Toast as the leading restaurant management platform for restaurants of all sizes. “At TCV, we invest in companies that have the potential to reshape entire industries. By providing restaurants of all sizes with access to innovative technology, Toast is leveling the playing field and leading the industry’s transition to the cloud,” said David Yuan, general partner at TCV. “Our investment will enable Toast to extend their platform beyond point-of-sale and guest-facing technology, and in doing so, create a powerful SaaS platform with a superlative business model. We’re excited to partner with Toast as they accelerate the growth of the community they serve.” TCV invested in some of the largest franchises in technology including ExactTarget, Facebook, Netflix, and Spotify; David Yuan will join Toast’s board of directors. During the past year, the number of restaurants that selected Toast more than doubled as globally acclaimed brands like José Andrés’ ThinkFoodGroup and Tartine Bakery chose Toast in addition to high-growth concepts like Joe Coffee Company, Eggs Up Grill, JACKS Urban Eats, and The County Line. Attracting, engaging, and retaining guests: Today, guests spend tens of billions of dollars at restaurants powered by Toast. Restaurants like SuViche already use solutions like Toast Go™ and Toast Guest Feedback to accelerate speed of service by up to 40 percent, increase revenue, and capture guest feedback in real-time. New guest marketing capabilities planned for 2019 will enable restaurateurs to deliver highly personalized offers and campaigns triggered by guest behavior. Recruiting and retaining talent: Restaurants using Toast Point of Sale already benefit from higher sales, increased tips, and lower staff turnover. For example, with Toast Guest Facing Display, Broad Street Baking saw staff turnover significantly decrease as tips increased by 58 percent. New products planned for this year will simplify back-office operations and arm restaurateurs with tools to recruit, hire, and retain talent in a competitive labor market. Improving operations and increasing profitability: Today, the Toast Platform processes over 2,500 requests per second across tens of thousands of restaurants. Through Toast Reporting and Analytics, restaurateurs can monitor the performance of their business in real-time –on any device — so they can run their business from anywhere. Investments planned in 2019 will provide restaurants with access to new reporting capabilities and insights. ezCater® raised a $150 million Series D-1 investment round co-led by Lightspeed Venture Partners and GIC. ezCater will use the funds to continue its global expansion and widen its lead as the #1 catering marketplace and software platform for restaurant operators. 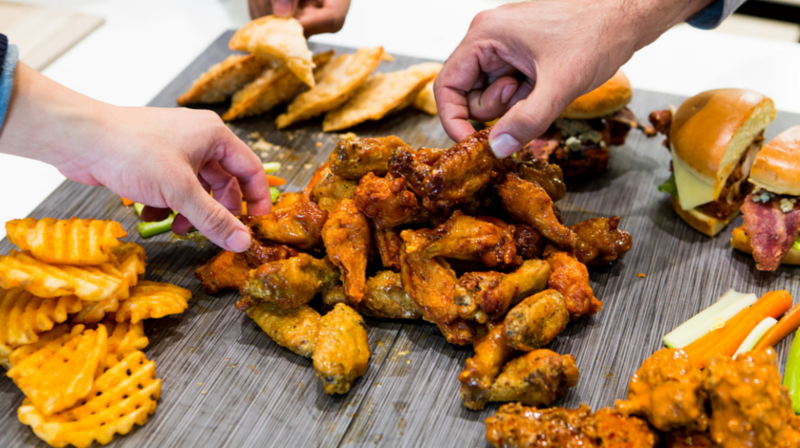 The funding round brings ezCater’s total funding to $320 million. Catering is a $60+ billion industry in the U.S. alone and is growing 50% faster than the overall restaurant industry (Technomic). Restaurants require different menus, operations, and technology to manage their catering business. ezCater’s fully integrated catering marketplace and software platform is uniquely designed to help restaurants of all sizes get more incremental catering orders and manage their entire catering operations. Today, more than 60,000 restaurants and caterers from local independent restaurants to national chains partner with ezCater. In addition to Lightspeed Venture Partners and GIC, this funding round included participation from Light Street Capital, existing investors Wellington Management Company LLP, ICONIQ Capital, Insight Venture Partners, Quadrille Capital, and others. wagamama will open a second restaurant this year in New York as part of its US growth strategy. The UK-based restaurant group will open a new Midtown spot later this year. Set to launch in late summer, the newest wagamama will provide for upwards of 185 covers, an external patio and a full liquor license. wagamama has also decided to close its East Village location on April 12th due to location issues and a lack of a liquor license. 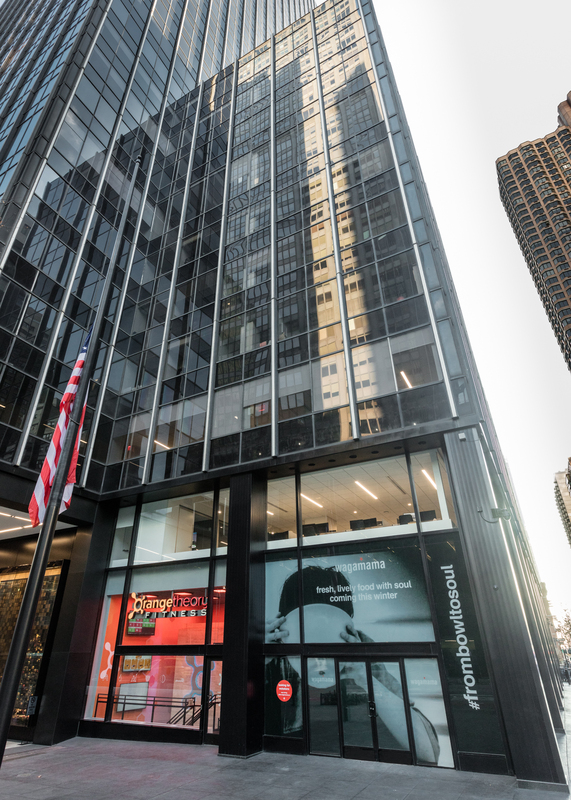 The closing will allow wagamama to focus on plans for the Midtown restaurant and operations at its recently opened Murray Hill location. The Murray Hill eatery—which has 198 covers, a large outdoor space and a liquor license—arrived on Third Avenue on February 6, 2019 and has already been warmly welcomed by the community and restaurant reviewers. Serve integrated its patented facial recognition technology into its blockchain logistics platform. Users of the Serve Platform can now require facial recognition at every step of the delivery process. With this enhancement, Serve’s technology can now be used to secure deliveries where chain of custody and proof of delivery are critical, such as with medical devices and pharmaceuticals. SOCi lauched a new full-service Customer Success Portal. This go-to source for SOCi customer training, product support, critical updates, and self-service help content and FAQs elevates the overall SOCi customer experience, empowering both national and local marketers to take their localized social marketing efforts to the next level. In today's always-on environment, customers expect more immediate access to resources and quick turnaround to their questions and needs. As a result, customer experience is on par to overtake price and product as a key brand differentiator by 2020 — with 86 percent of buyers willing to pay more for better customer support (The Walker Study). Further, customers want to be able to find answers through self-service options. According to a report from ZenDesk, 50 percent of customers think it’s important to be able to solve product or service issues themselves and 70 percent expect a company’s website to include a self-service application. SOCi Customer Success Portal was created to include self-paced on-demand training courses through SOCi University, covering topics, from Platform Basics to educational topics like The Best Practices to Managing your Online Reputation. The portal will also include FAQs, how-to-videos and an interactive discussion board for customers to collaborate, ask questions and share best practices with other users to help one another better navigate the multi-location brand marketing landscape. The Customer Success Portal will be available immediately at no extra cost to any customer with a SOCi login. 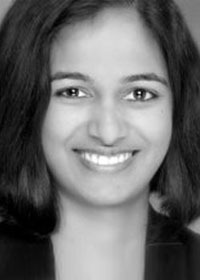 TroyGould business litigator Pooja Nair is among 75 honorees in today’s Los Angeles Business Journal special supplement honoring the City’s most influential women attorneys.